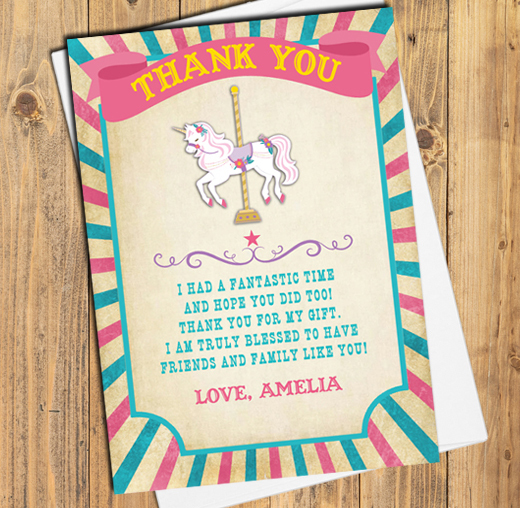 Carousel thank you cards can be personalized however you'd like. Say thank you to your guests by adding that custom touch. 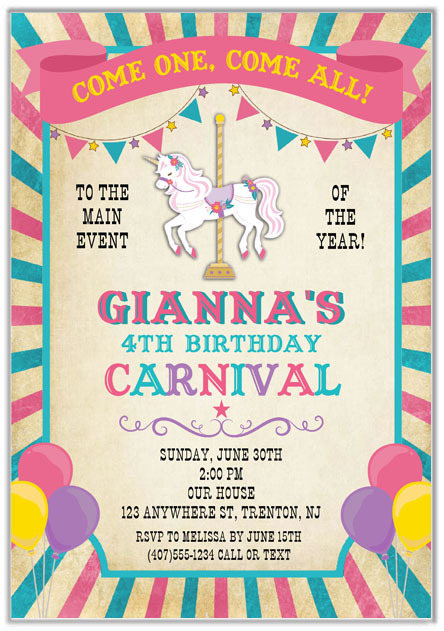 They are printed using a high quality laser printer and are very affordable!